By Zack Quaintance — One thing that sets comic book storytelling apart from other mediums is how many of the works, especially in the direct market, are collaborative creations. Unlike prose writing there is a team of contributors in place bringing visions to life, but unlike television or film, teams generally remain small and intimate, leaving voices and motifs intact. That’s certainly the case with one of the best creator duos in comics: Ed Brubaker and Sean Phillips, whose forthcoming graphic novel My Heroes Have Always Been Junkies is our Pick of the Week. There’s a special look and perspective that comes through in their work, sort of a modern noir, gritty yet somehow not oppressively dark or pessimistic (usually). We’re fans, and so with that in mind let’s start our weekly previews feature by taking a look at their next project! Teenage Ellie has always had romantic ideas about drug addicts, those tragic artistic souls drawn to needles and pills have been an obsession since the death of her junkie mother ten years ago. But when Ellie lands in an upscale rehab clinic where nothing is what it appears to be... she'll find another more dangerous romance, and find out how easily drugs and murder go hand-in-hand. Our Take: This is the first original graphic novel from the team that brought us incredible books like Criminal, Fatale, Kill or Be Killed, and, my personal favorite, The Fade Out. Brubaker and Phillips are accomplished monthly comic book creators, and it’ll be interesting to see how they do in a format that requires tighter storytelling. We have high hopes. 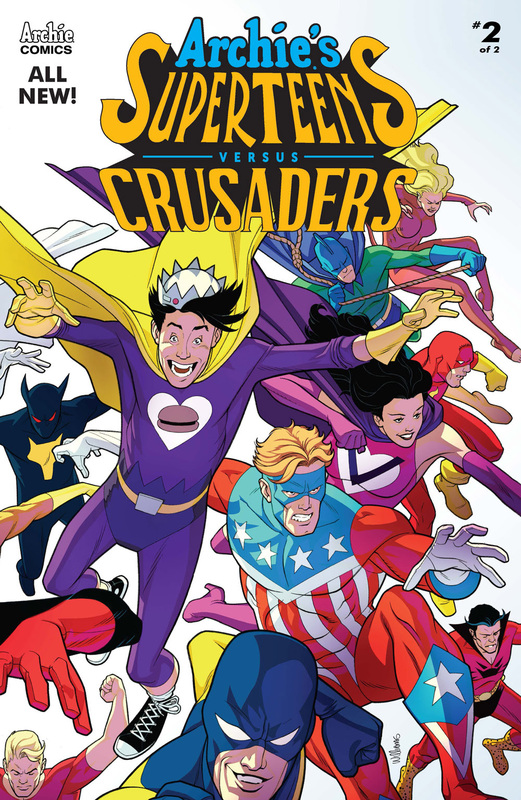 Archie Comics’ two superhero teams THE SUPERTEENS and THE MIGHTY CRUSADERS face off against the evil Dr. Zardox in the conclusion to this epic two-issue crossover event! Our Take: Make this as big and cheesy as possible please, and we’re there. I mean, the first issue was a goofy good time and a two-part series is super manageable, anyway. After meeting a friendly new face in the alternate dimension they've stumbled upon, Heather (eagerly) and Jane (reluctantly) agree to venture further in. With their trusty camcorder to record what they find and an inhuman new buddy, there's no turning back now! 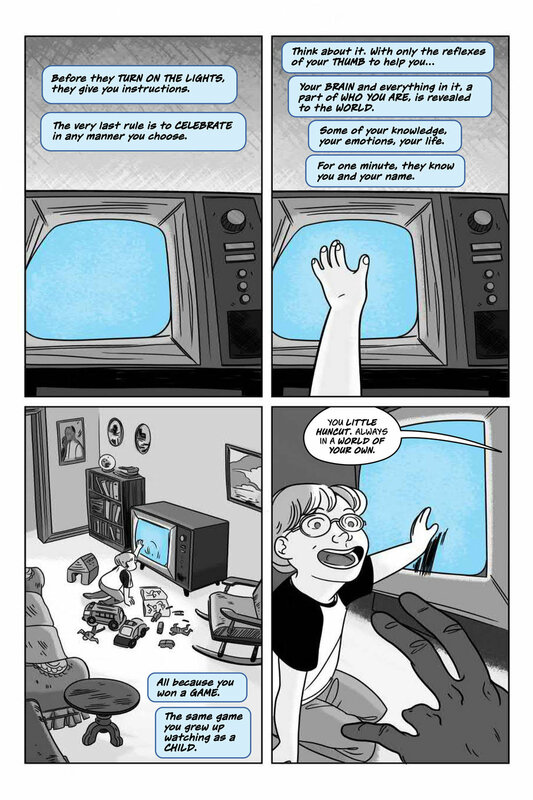 Our Take: We love John Allison for his blissfully dry, hilarious slice-of-life book Giant Days. 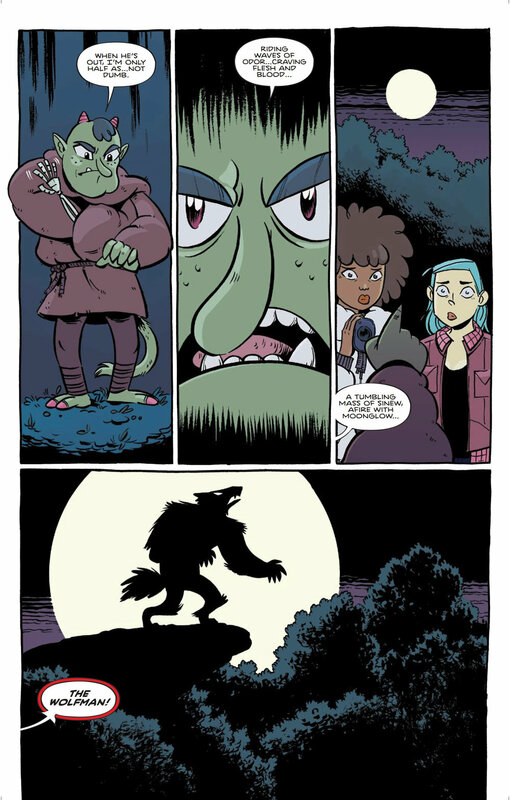 The first issue of By Night had a lot more world-building to do than that comic, but the ideas were intriguing and there were moments wherein Giant Days subtle wit shown through. As a result, we have high hopes for this second issue. This . . . is . . . JEOPARDY! As a young man, Andrew Rostan spent some of his happiest moments watching JEOPARDY! with his grandfather. Early on, he was ready for Daily Doubles and the iconic buzzer. But now at the age of twenty-two, Andrew’s an actual contestant on the show, and realizes that while he may be ready to meet the host Alex Trebek, he’s not prepared for what comes with starring on one of the most beloved game shows in television history. 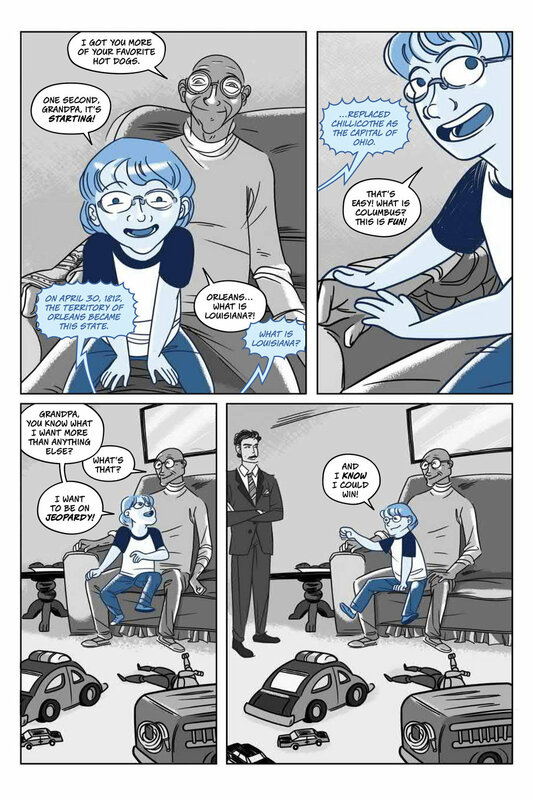 While Andrew is excellent at remembering facts, he’s also able to recall the memories he associates with those facts—memories of deaths in the family and extraordinary people—and recognize a life lived one step removed from the rest of humanity. A life he’s ready to change. Andrew discovers that existence is like JEOPARDY! and all the answers are staring you in the face if only you ask the right questions. For more info, click here! Our Take: We are fascinated with writers who choose graphic novels as a medium for memoir, and Andrew Rostan examining his appearance on Jeopardy! as a story about how he unexpectedly learned about life...oof, it’s like this thing is being tailored to our nerdy sensibilities. All hands on deck! Divided but not yet conquered, Livewire and the Harbinger Renegades are making their last stand for the fate of their fellow psiots! Targeted by X-O Manowar and the governmental forces of the H.A.R.D. 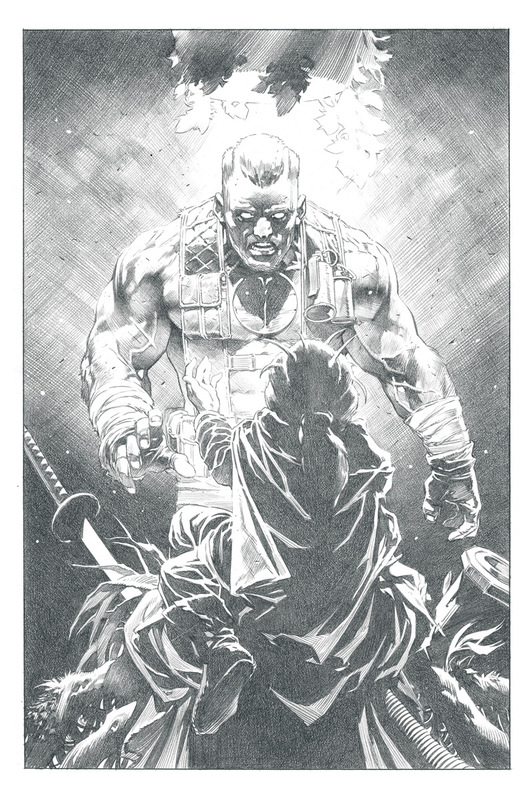 Corps, the most powerful players behind the cataclysmic conflict that has torn America asunder are about to converge in a violent conflict where the ultimate fate of the Valiant Universe will be decided... And Ninjak and Bloodshot are about to get a crucial new role in the heart of it all! Our Take: As we wrote in our review of Harbinger Wars 2 #2, the fact that the Valiant Universe is younger is giving this event some major weight compared to its Big 2 counterparts. The third of four installments, this issue stands to feature a major ramping up of action, and we’re so there for it. Everything related to Harbinger Wars 2 has been total fire thus far. Previews, Valient, Valiant Comics, Valiant Entertainemnt, Ed Brubaker, Sean Phillips, Brubaker and Phillips, Image Comics, Boom! Studios, By Night, John Allison, Jeopardy!